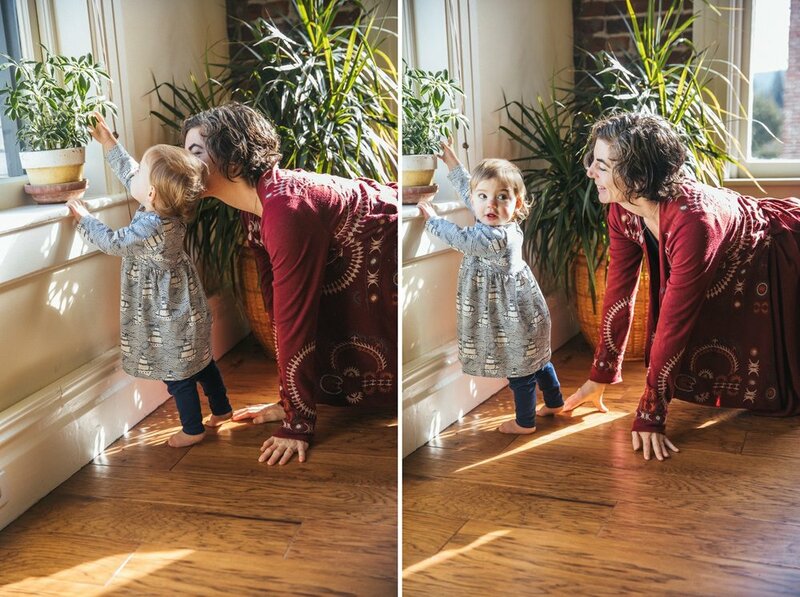 Something I didn’t expect when becoming a mama was how much more beautiful I would feel in photographs with my daughter—I just wish we had more from when she was tiny. I know the ones we do have will be treasured. I am very excited to be offering motherhood portraits in Nevada County, something I’ve been dreaming about for years. My goal for these sessions is to create timeless images that honor this moment in your lives and capture the connection you have with your children. By offering a pop-up I can photograph multiple mamas in one weekend, making it easier and more cost-effective for you to get in the frame with your kiddos. Sessions are $150—payment is due in advance to confirm your booking. Each session runs 15 minutes in length and will result in a minimum of 15 high resolution, edited images that are yours to keep. I will email you a password-protected gallery by early May—just in time for Mother’s Day!—and you will be able to download your photos and print to your heart’s content. It’s the perfect gift to yourself and—bonus!— prints make a beautiful gift for grandma as well. I want to book! What’s next? Wear something you feel beautiful in. I recommend dressing yourself first, and then choosing clothing for your children. Select colors that compliment one another, and avoid bright pink, orange, or yellow near the face, as it tends to reflect onto your skin. Neutrals and pastels, subtle prints and patterns all photograph well. Bare feet look best indoors. Show off those toesies! I get it, kids get sick and life is complicated. However, at this time I am unable to offer full refunds once your session is booked. I can offer a 50% refund or you can transfer your session to a friend as long as you take care of it in advance. Trust me, she will be thrilled! Just email me at roseannbath[at]gmail[dot]com to let me know. Scroll down for more photos from the promo shoot I did in February. A huge thank you to the beautiful mamas and kiddos who modeled!